Staying at Twin Mountain Inn is the best choice you can make for your vacation. 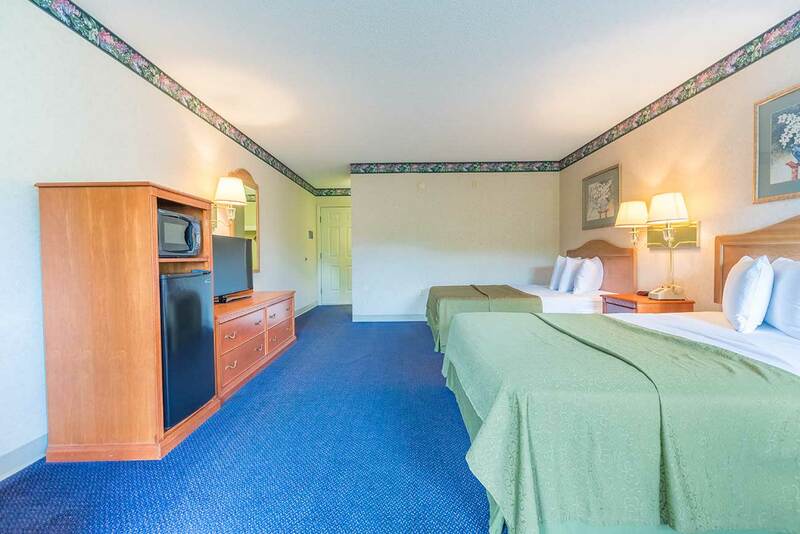 We offer 4 different room types so you can have the most relaxing getaway to Pigeon Forge. Take a look at each of our rooms to find the one that’s best for your vacation. This room features a King bed, a balcony overlooking the river and a fireplace. It sleeps 2 guests. This room features a King bed, Jacuzzi, sofa bed, a balcony overlooking the river and a fireplace. It sleeps up to 4 guests. This room offers 2 Queen beds, a balcony overlooking the river and fireplace. It sleeps up to 4 guests. This handicap-accessible room features a 2 Queen beds, a balcony overlooking the river and a fireplace. It sleeps up to 4 guests.